The DVIDDMM15 15ft DVI-D Dual Link cable features 2 male DVI (25-pin) connectors and provides a reliable, purely digital connection between your desktop or laptop computer and a DVI-D monitor or projector. The 15 ft DVI-D digital monitor cable supports resolutions of up to 2560x1600 and transmission rates of up to 9.9 Gbits/sec and is fully compliant with DVI DDWG standards. Designed and constructed for maximum durability, this high quality digital video cable is backed by StarTech.com's Lifetime Warranty. Use the DVI cable, video source, and video destination in another setup to see if the problem is with the components or the setup. Use a different DVI cable, video source, and video destination in your setup to see if the problem persists. Ideally, you should test a component that you know works in another setup. Make sure that you are using the correct type of DVI cable. 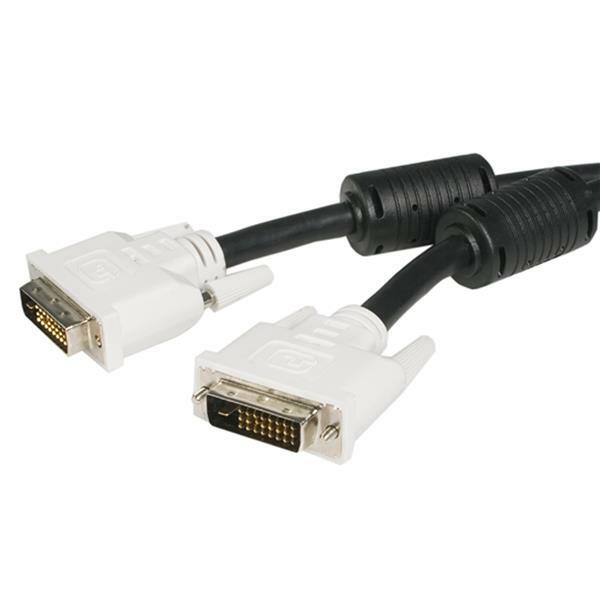 For more information about DVI cables, see the following FAQ: http://www.startech.com/faq/video_signal_converters_dvi_interface. Verify that the source resolution matches the video source destination capabilities. 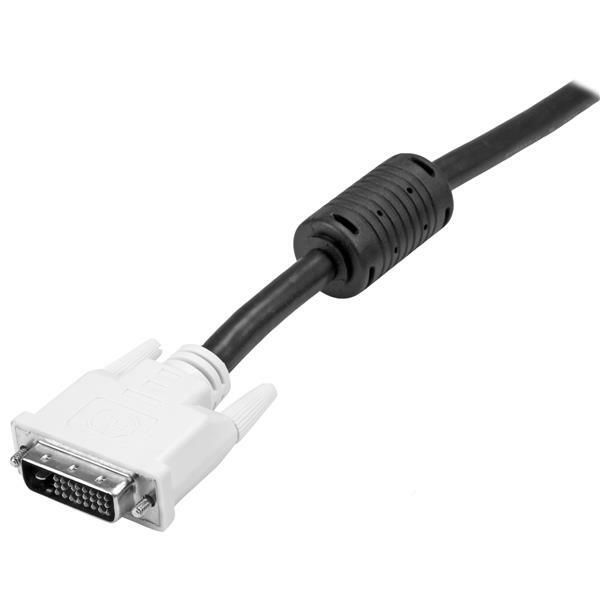 For example, if the destination or DVI cable is only capable of 1920 x 1080, then the source cannot output 2560 x 1600, as that exceeds the capabilities of the destination or DVI cable. Test your setup components using a lower resolution or a lower refresh rate, for example, 1024 x 768. Note: Single Link DVI cables are only capable of resolutions up to 1920 x 1080. 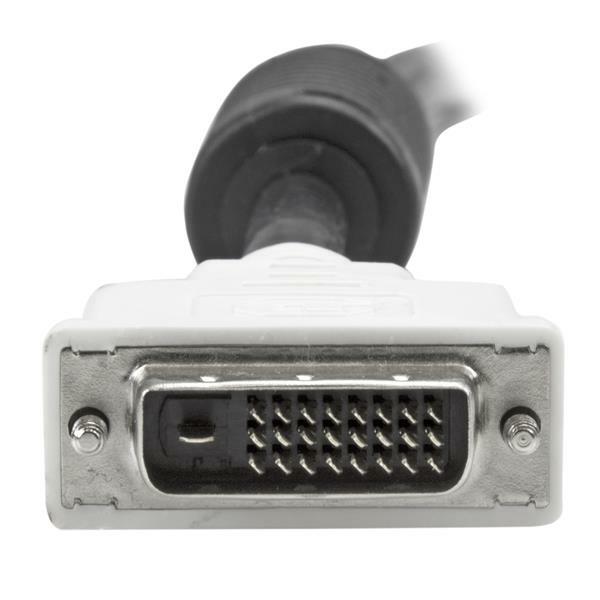 In order to obtain a resolution of 2560 x 1600, you will need to use a Dual Link DVI cable. For more information, see the FAQ link listed above.